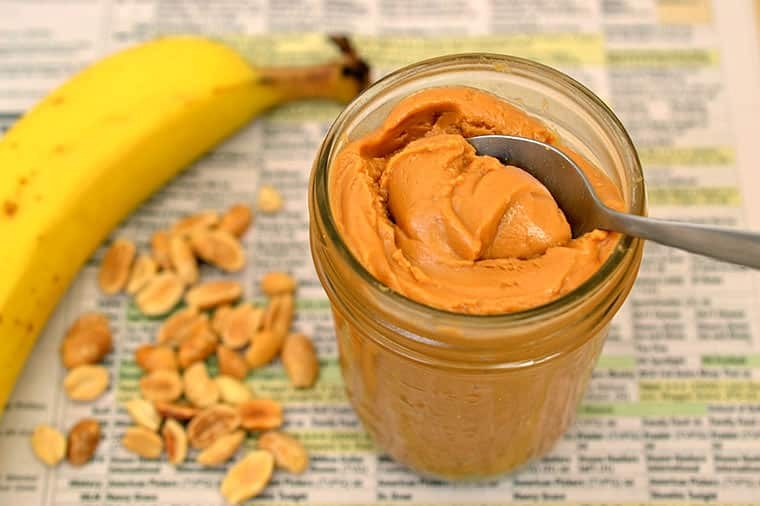 Peanut butter is a tasty, cheap, and easy source of protein for both kids and adults alike. But for a food that’s essentially just pureed peanuts, there can be any number of food products at the supermarket that all call themselves “peanut butter.” The spectrum ranges from the most raw peanut butter (made from peanuts alone) that can be extremely coarse and chunky, to highly processed peanut butter (made with hydrogenated oils and sugar) that spreads like margarine. Of course, given that this is October Unprocessed, you probably know where this is going. Pure ingredients = Good. Hydrogenated oils = Bad. But even if your palate has been trained to love margarine-smooth processed peanut butter, there’s still hope. It is unbelievably easy to make your own peanut butter at home – even the smooth stuff. Sure, you might say, but if you’re set on making your own, you can just pour the peanuts into that big machine at the supermarket and grind it there. However, when you use those machines you don’t have any say in the texture or the flavor. If you make it yourself, you can adjust it precisely to your own specifications – smooth, chunky, salty, sweet, or even spicy. Put the peanuts in the food processor. Process for several minutes. At first it will look like very crumbly. 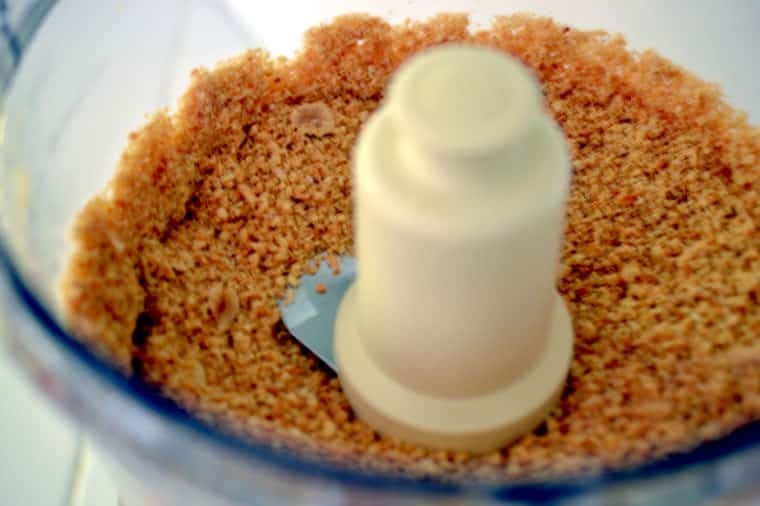 Within about two minutes the magic will start to happen: As the oil is released, the crumbly pieces will start to stick together, and then the peanut butter will clump together in a large ball as it takes on a paste-like consistency. Depending on how fresh the peanuts are, you may need to add oil to keep it smooth. Remember that a little oil goes a long way, so add just 1 teaspoon at a time.Continue scraping down the sides to make sure that all of the paste gets processed. Add sweetener and/or salt to taste and continue processing until the peanut butter reaches the desired consistency. All told, the processing should take about 5 minutes. Yields about 1 ½ cups peanut butter. Place the peanut butter in an airtight container and store it in the refrigerator for up to one month. Keep in mind that the oil tends to separate, so you may need to stir it up before you serve and eat it. Want to customize it? Easy! Here are some add-ins to consider: Cinnamon, nutmeg, vanilla extract, cocoa powder, or even red pepper. Stir in extras like raisins or dried cherries, or try it with other nuts like cashews or almonds. The only limit is your imagination – after all; it’s your peanut butter. About two minutes in the food processor, and... magic happens! Continue processing. As the oil is released, the crumbly pieces will start to stick together, and then the peanut butter will clump together in a large ball as it takes on a paste-like consistency. Add oil if needed to keep it smooth, 1 teaspoon at a time. Add sweetener and/or salt to taste and continue processing until the peanut butter reaches the desired consistency. Jeanne Fratello writes The Jolly Tomato, a blog with news, information, and recipes geared toward healthy kids’ eating. She also has a “Real Food” series, where she toured farms and factories to learn more about how commonly used foods are made and processed. Find her on Twitter, Facebook, and Pinterest, and Instagram. 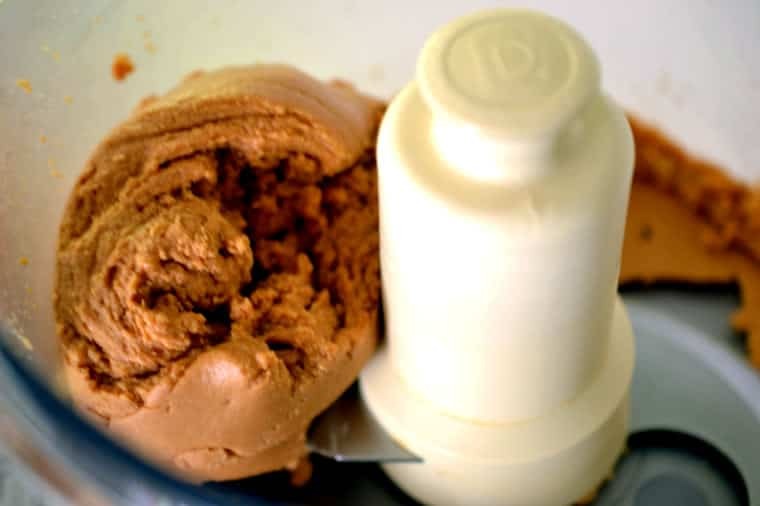 After homemade peanut butter, the store-bought stuff never tastes as good again! I completely agree! All you can taste is the sugar. It tastes so fake! Homemade peanut butter is a great idea! How about in the spirit of Fall some Homemade Applesauce? I just made some this morning. Check out my blog for the recipe! http://ohheyyitsdre.blogspot.com Its super simple, delicious, and follows all the rules of October #Unprocessed! I converted my fiancé to natural and homemade peanut butter a year ago. He can’t stomach the taste of the processed brands anymore. Yay for unprocessed! Hi Janis: If you have a grocery store near you that allows you to buy in bulk, that might be the easiest/cheapest. Otherwise Trader Joe’s has bags of nuts that are relatively inexpensive. Good luck! I’ve been ordering nuts, seeds, and grains from them in bulk for the last 3 years and find it quite cost-effective. You do have to register for a free account to see prices. 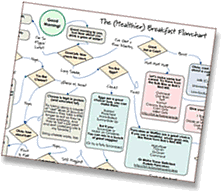 You can order if you’re east of there, but shipping prices tend to cancel out the savings. Thank you SO MUCH for sharing this recipe. I especially love the photos and how clear you are with the directions. I tried to make almond butter, but the recipe said to make it in the blender, so I ended up adding lots of coconut oil when it sounds like I probably didn’t need to. I’m inspired to try making my own nut butter again, so thanks!! Oh, and the sweet potato chips look delicious too!